These fundraising numbers tell an amazing story: Grass-roots donors are everywhere, funding 99 percent of Trump’s campaign and 98 percent of Harris’s. Watch out, rich donors, for the small dollar is king. Except, a much less grassy picture emerges after digging into the data from the Federal Election Commission. The president raised nearly $39 million for his reelection in the first three months of 2019. That includes his campaign and joint fundraising committees Trump set up with state and national Republican Party organizations. How much came from small donors? Using Trump’s measurement — individual contributions of $200 or less — it’s 98.79 percent, his campaign says. This is not a clear way to measure small-dollar donations, because the high-dollar contributions get blurred. They may represent only 1.21 percent of all contributions, but they could be huge. And they are. Individuals are allowed to donate $2,800 to a presidential candidate’s campaign for the primary and the general election ($5,600 total). One of Trump’s joint fundraising committees, Trump Victory, can raise up to $360,600 from a single donor. That ceiling is expected to rise as more state-level Republican organizations join Trump Victory. The way to measure small-dollar contributions is to add up all the donations of $200 or less, and then figure out what percentage of total fundraising they represented. That’s the norm for campaign-finance experts and reporters, and it’s what nonprofits that track money in politics emphasize. Using that metric — small-dollar contributions as a share of total fundraising — it turns out Trump’s campaign and joint committees raised 55 percent of their $39 million haul in small-dollar contributions. Still formidable, though not as punchy as 99 percent. On the Democratic side, Harris is slicing the numbers in a similar fashion. Her campaign said in a news release that 98 percent of contributions were under $100. A Harris spokesman clarified that it’s actually 97 percent. But looking at the overall fundraising picture, Harris raised $12 million in the first quarter, 37 percent of which came from small-dollar donations of $200 or less. Why is there such a big gulf here, with 97 percent on one hand and 37 percent on the other? Because many of the Harris contributions above $100 were way above $100. It’s the same dynamic with Trump. His campaign says nearly 99 percent of contributions were for $200 or less. But many of the other donations (in the 1 percent) were way over $200. “It’s in all campaigns’ interests to report the information like Trump did. It makes them look like they’re appealing more to the grass roots,” said Sarah Bryner, research director at the Center for Responsive Politics, which analyzes campaign finance figures at OpenSecrets.org. OpenSecrets reports small-dollar figures in the customary way: as a share of total fundraising. 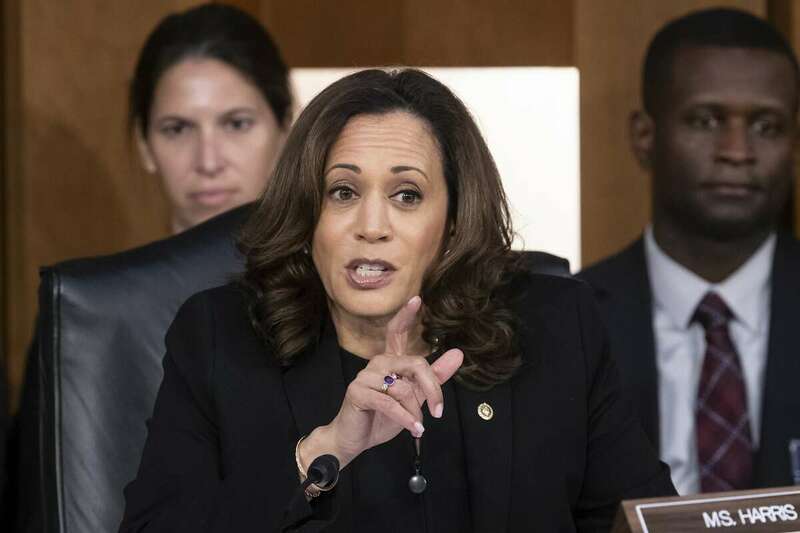 By focusing on contributions under $200 or $100, rather than small-dollar contributions as a share of total fundraising, Harris and Trump are inviting several questions. The same person could donate less than $200 to the same candidate or committee multiple times. After a certain point, that donor would cease to be a small-dollar type. But the numbers from Trump and Harris don’t include a caveat explaining this. Basically, The Post once used this metric in an article, so why are we giving Trump flak for using it now in his campaign emails? The Trump campaign also sent us a bunch of tweets from Obama using the percentage of all donations under $250 (“98% ... in June,” “98% ... in May”) during the 2012 race. Trump’s team told us 875,000 donations were for $200 or less, while 889 were above that threshold. That covers the campaign and the joint fundraising committees in the first quarter. Before we wrap up, it’s important to note that most super PACs won’t be reporting to the FEC until the summer. “That is going to paint a different fundraising picture, because that’s really where the big money goes,” Bryner noted. The only thing better than 97 percent grass-roots funding ... is 99 percent grass-roots funding. But a lot of this grass is made of plastic. These numbers and news releases might be technically accurate, but they won’t help the lay reader trying to figure out what kind of donors are funding Harris and Trump. Instead, they give a distorted view that small-dollar donors overwhelmingly are funding these campaigns when that is simply not the case. Scrubbing their FEC reports, Trump raised 55 percent of his $39 million haul from small-dollar donations while Harris raised 37 percent of her $12 million from these $200-or-less contributions. Harris and Trump are talking about small-dollar donations without saying how many came from repeat donors. Remember, those donors could have blown past the $200 threshold and still be included in the small-dollar figures being offered up by these two campaigns. 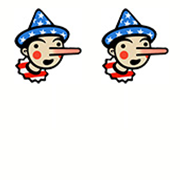 We award both candidates Two Pinocchios. (Update, April 17): After we published this fact-check, we learned of other Democratic candidates spinning their first-quarter fundraising numbers like Harris and Trump. Two Pinocchios all around. Here’s a senior adviser to Beto O’Rourke, noting that “98% of contributions [were] under $200.” A fuller look, however, shows that O’Rourke raised 59 percent of his $9.37 million from such donations in the first quarter. Here’s a news release from John Hickenlooper’s campaign, noting that 85 percent of donations were under $200. But Hickenlooper raised $2 million total, 10 percent of which came from donations under $200. Here’s an aide to Kirsten Gillibrand, tweeting that “92% of contributions [were] under $200.” Of the $3 million total for Gillibrand in the first quarter, 17 percent came from small-dollar donations. Here’s a news release from Amy Klobuchar’s campaign, which says “85 percent of all donors gave less than $100.” But they’re actually talking about donations, not donors. (Some could have given two or more times.) And if you look at Klobuchar’s $5.2 million in total fundraising, 35 percent came from donations of $200 or less.